I know God’s will for my life. That’s what I remembered while reading “Church of the Small Things” by Melanie Shankle. Of course, I laughed as she told stories that made me think we’re friends. But, really, most importantly, this book reminded me that I know God wants me to follow Christ as I embrace the life He’s given me and through it all He’ll change me from the inside out so He can be glorified. Of course, the circumstances and details of this change moment by moment because I don’t live in a bubble all alone. But God uses it all to that ultimate purpose. Honestly, just saying that aloud makes me take a deep breath and loosen my grip. Knowing I’m in the midst of God’s will frees me from trying so hard to get to the next big thing. Believing He had a purpose in all the small, everyday things lets me rest in the One who truly holds it all together because when I get really tired when I try to control it all. 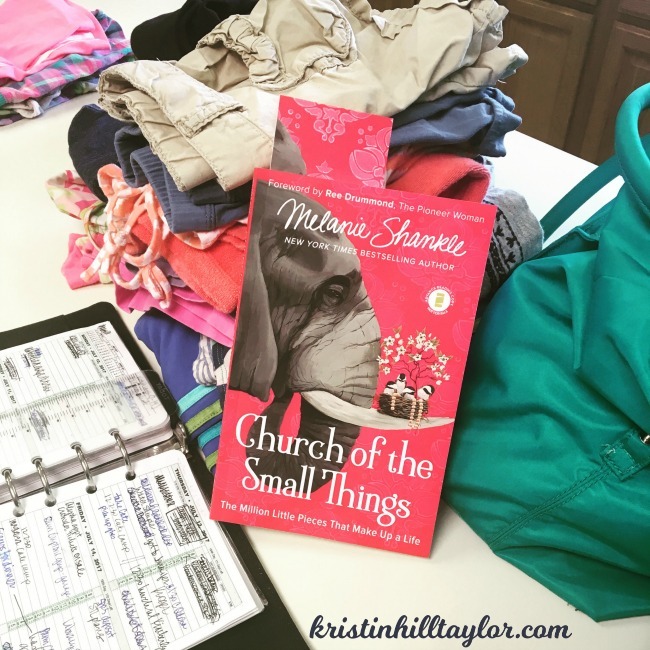 “Church of the Small Things: The Million Little Pieces That Make Up Life” is made up of stories about the seemingly small things in life that change us from the inside out. Melanie makes “Friday Night Lights” references, tells stories like friends would tell sitting on the porch together, and brings it all back to our faith in the God who weaves all the moments together. Melanie Shankle tackles these questions head on in her fourth book, “Church of the Small Things.” Easygoing and relatable, she speaks directly to the heart of women of all ages who are longing to find significance and meaning in the normal, sometimes mundane world of driving carpool to soccer practice, attending class on their college campus, cooking meals for their family, or taking care of a sick loved one. The million little pieces that make a life aren’t necessarily glamorous or far-reaching. But God uses some of the smallest, most ordinary acts of faithfulness — and sometimes they look a whole lot like packing lunch. 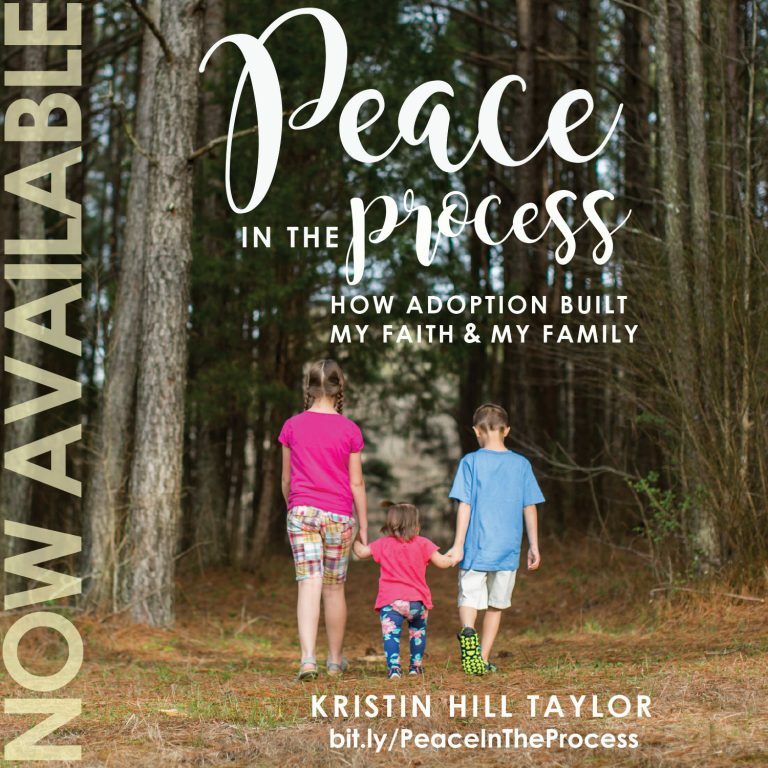 This 224-page hardcover is published by Zondervan (Oct. 3, 2017). 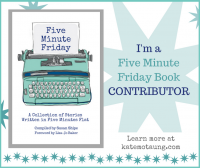 Learn more about the book at its website. Melanie Shankle writes regularly at The Big Mama blog and is the New York Times bestselling author of three previous books. She is a graduate of Texas A&M and loves writing, shopping at Target, checking to see what’s on sale at Anthropologie, and trying to find the lighter side in every situation. Most of all, she loves being the mother of Caroline, the wife of Perry, and the official herder of two wild dogs named Piper and Mabel. The five of them live in San Antonio, Texas. I received a free advanced copy of this book in exchange for being on the launch team. This review is full of my own opinions. There are so many good books right now! I’m glad you’re here, Becky! I have yet to read one of Melanie’s books. Thanks for sharing this one. She (and the book) sound amazing! I’m adding this book to my “must read” list! Yay! Hope you love it, Debbie! This sounds like such a delightful book. I feel like my whole life has been just a series of small things, but that’s okay! 🙂 It’s good stuff. Thanks for sharing this, Kristin. Totally okay! I have a quote in my house that says, “One day we’ll look back on the little things and realize they’re really the big things.” Thanks for being here, Lisa! I love the quote you wrote – that we reach our dreams, theme park and all, and that is not what counts. 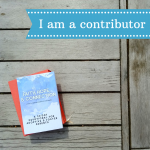 I want to be and do what counts -I know you do, too! thanks for sharing, Kristin. Indeed! Thanks for being here, Sue! Oooh, I’m adding this to my reading list and just submitted a request to the library to purchase it. Thanks, Kristin!